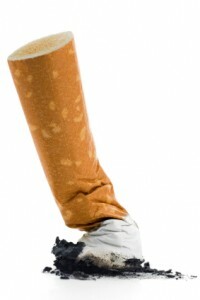 21 Jul 2011, Posted by London Cognitive Hypnotherapy in Stop Smoking, No Comments. Hypnosis is considered the most effective way of giving up smoking, according to the largest-ever scientific comparison of ways of breaking the habit” according New Scientist magazine. Cognitive Hypnotherapy can also help with regaining control over other unwanted habits and addictions including alcohol, marijuana, and prescription drugs. Where are you now with it? What will happen if you quit? What do you fear if you don’t? Cognitive Hypnotherapy can have a role wherever there is a psychological component to a problem. My name is Patrick Lilley and several years ago I personally started my journey to a healthier life using hypnotherapy to quit smoking. I work with a wide range of clients & issues as a successful Cognitive Hypnotherapist. Cognitive Hypnotherapy is based on NLP (Neuro Linguistic Programming) which is a highly effective change technique that has helped many people achieve success & excellence in many areas of their lives. It can help with a wide range of other issues including anxiety, substance abuse, insomnia, self confidence, phobias, public speaking, relationships, motivation and performance coaching and it could help you. It works by helping you tap into your vast unconscious resources that you have and may even not have used or forgotten that you had. NLP offers a range of highly effective modern techniques including Anchoring, Aversion Therapy, Pattern Interrupts, Word Weaving, Time Lines and Fast Phobia Cure to help create a positive performance chain to a happier and healthier future. Imagine that. Most people prefer to visit a therapist either near where they work or near to where they live. London Cognitive Hypnotherapy with its practice in Paddington is easily accessiple from many parts of London. With its main line station, Circle, Bakerloo, Jubilee and Hammersmith Tube Lines Paddington enjoys convenient public transport from nearby areas including Notting Hill, Royal Oak, Kensington, Maida Vale, Westborne Grove, Marlybone, Edgware Road, Soho, Regents Park, Primrose Hill, Euston, and Camden. Our practice in Central Street of Old Street near the City of London (Clerkenwell) is easily accessible from Liverpool Street Station, Shoreditch, Old Street, Kings Cross, Camden, Bethnal Green, Dalston and Brick Lane. Eery smoker is unique and each individual thinks about their issue differently. Each treatment starts with a history take to work out the context and structure of your unwanted. This helps how me approach the issue of honouring your way of seeing the world. Each client receives a questionnaire that helps guide our work together in a way that is unique to your way of thinking. This is completed before the first session. During the course of treatment each client is offered their own personalised mp3 download to support and focus their unconscious resources between sessions and after treatment has concluded. Smokers are coming under increasing pressure to quit. Recently the Institute of Actuaries published the results of a study it commissioned which showed that the mortality rate for smokers is twice as high as for non-smokers, and that, on average, a smoker dies 6 years earlier than a non-smoker. Surveys suggest that three in four smokers would like to give up, according to the antismoking campaign Act ion on Smoking and Health (ASH).